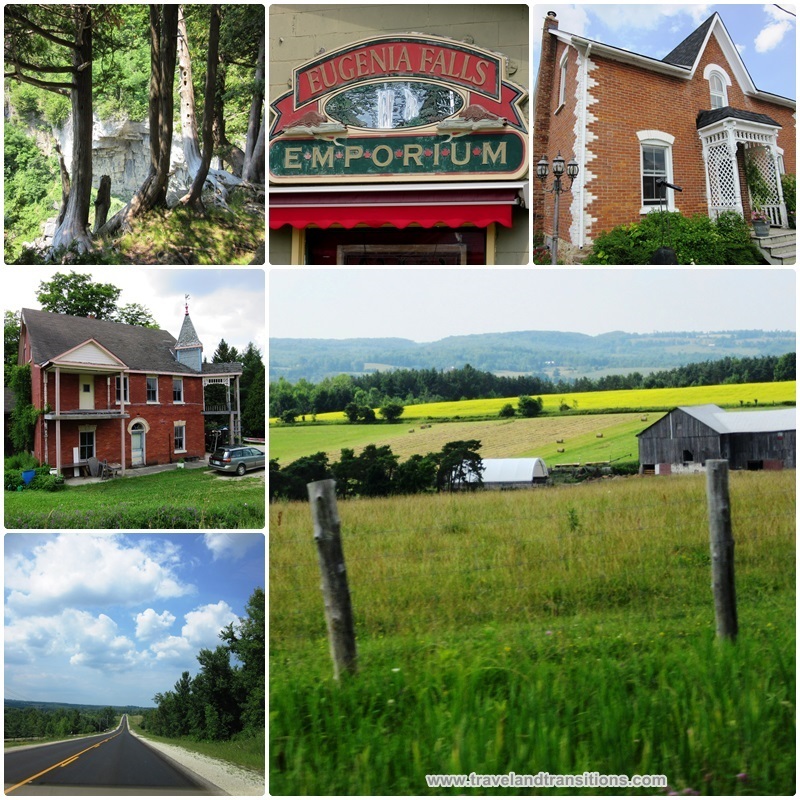 After our visit to Flesherton we continued our explorations of Grey County and drove past the quaint hamlet of Eugenia Falls which is famous for its 30 metre high waterfalls that tumble over the brink of the Niagara Escarpment with cedar trees clinging on to the edge. Then we entered the Beaver Valley, a picturesque river valley that stretches from Eugenia Falls to the pretty town of Thornbury on Georgian Bay. Surrounded by the limestone rocks and cliffs of the Niagara Escarpment, the Beaver Valley offers some of the most dramatic sceneries in Southern Ontario. This valley is a year-round recreational playground that offers outstanding hiking and biking opportunities, with great scenic lookouts from Old Baldy, a big rock formation that rises 152 metres above the valley. Canoeing or kayaking on the tranquil Beaver River is also very popular. In the winter you can go cross-country skiing and snowshoeing and the Beaver Valley Ski Club even provides downhill skiing opportunities. In the fall, the bright yellows, oranges and reds of the turning leaves light up the valley and make this region one of the best destinations in Ontario for “leaf peepers” or fall foliage enthusiasts. While driving through the Beaver Valley, we stopped in the small hamlet of Kimberley which is the entry point for the Beaver River Canoe Route. Big Baldy, a big rock formation and lookout point, looms overhead and provides magnificent panoramic vistas of the Beaver Valley. Kimberley was settled in the mid 1850s by Scottish immigrants and several saw mills and grist mills were built in the 1860s and 1870s. At some point there were even two hotels in this small village. Today, Kimberley is home to the Beaver Valley Orchard and Cidery which uses local heritage apples to produce cider and offers free tours of their cider production facility on Sundays. Housed in a historic mill building from about 1877, Grist Mill Winery is also located in Kimberley and offers occasional wine appreciation and food pairing events. We made a quick stop in Kimberley at a picturesque church that was built in 1886. Next to the white picket fence of the church perennial flowers were adding a burst of colour. 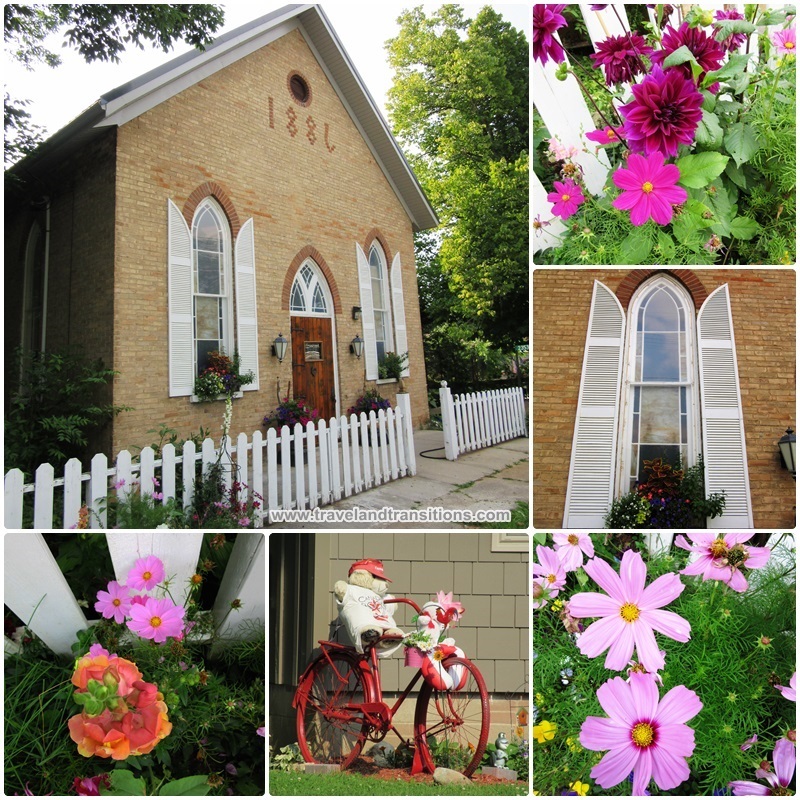 Several bicycles overflowing with flowers have been positioned throughout Kimberley, making this little village a nice place to stop. 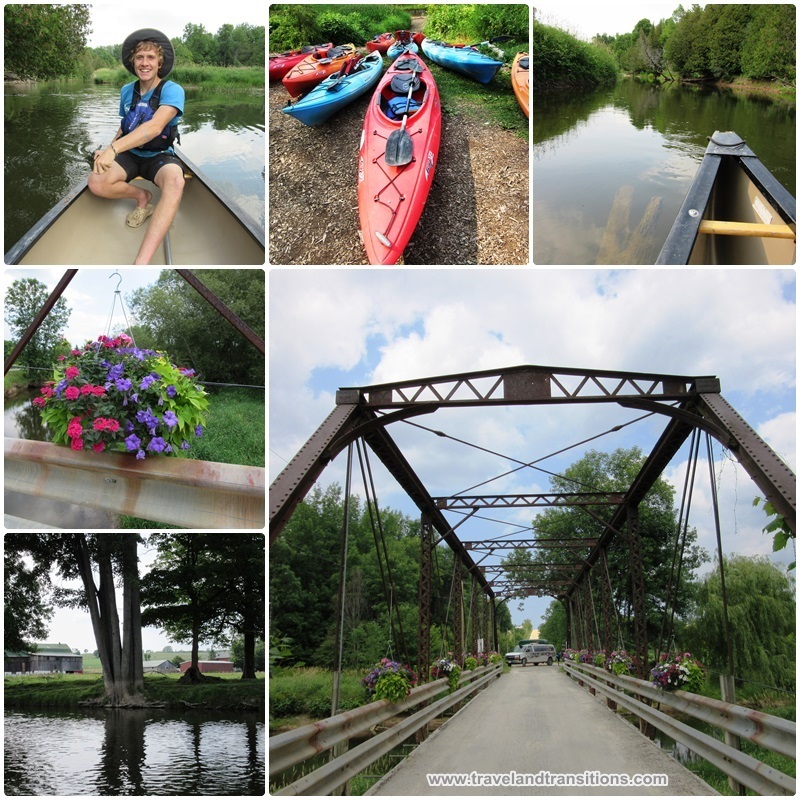 During our explorations of the Beaver Valley we stopped in the quaint hamlet of Heathcote to partake of one of the most popular activities in this valley: paddling on the Beaver River. 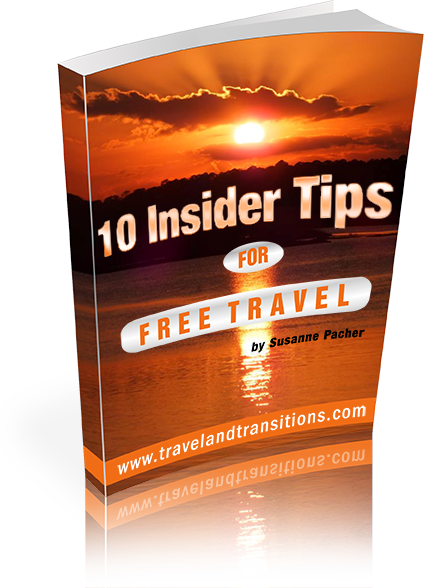 We met Matt Code, who co-founded Free Spirit Tours together with his partner Jennie Elmslie. 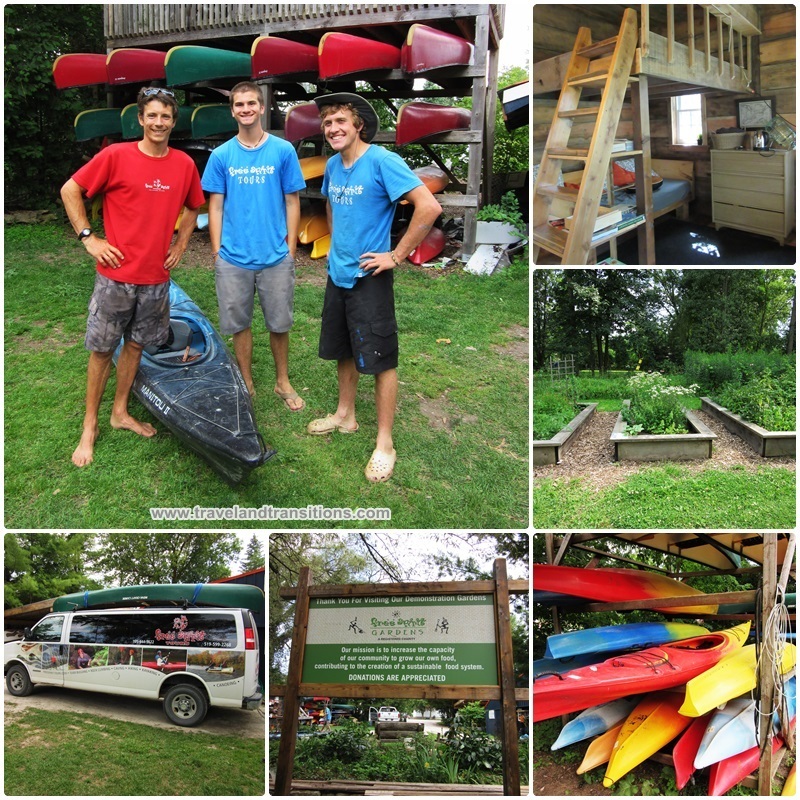 Together they have created an outdoor adventure company that has been offering hiking, canoeing, kayaking, rock climbing, caving and sea kayaking tours in Grey County since 1998. Customers include people of all age groups, corporate team building groups as well as children from age 7 to 16 who participate in the Outdoor Kids Camps during the summer. Matt also showed us the “Wild Edible Walk” in the Free Spirit Gardens, a non-profit charitable organization whose mission it is to increase the capacity of the local community to grow its own food to help establish a sustainable food system. Matt and his colleague Brian explained various wild plants to us that can actually be used as vegetables. And we got to see the Tree House, a one bedroom sleeping unit inside a tree house that overlooks the Beaver River. Up to 3 people can stay overnight here and will be supplied with bed sheets and pillows, a kettle and mugs as well as a composting toilet and a wash basin. The Tree House is one way of getting close to nature and experiencing a bit of rustic adventure. To experience a bit of nature adventure myself I got into a canoe with Jesse, one of the young adventure guides at Free Spirit Tours. Jesse is an experienced outdoor adventure expert and graduated from a special outdoor recreational program at Georgian College. His enthusiasm for nature and outdoor adventure was truly contagious. While I was filming Jesse, he steadily and safely steered the canoe, paddling only on one side. He explained that the scenic Beaver River is a habitat for many local animals and water birds. The river meanders very gently towards Georgian Bay and makes a great outing, even for inexperienced paddlers. Free Spirit Tours provides shuttle transportation to the river, the kayaks or canoes, life jackets and optionally a guide. Paddling tours on the serene Beaver River range from 1 to 5 hours and offer a tranquil escape from urban life. Our outing had made us hungry and after a brief rest back at the Guest House at Lake Eugenia we made the half hour drive through the Beaver Valley again to go for dinner in the waterfront town of Thornbury.